Ok, I want to try something a little bit different for my miniature focus article this week and revisit a couple of months back in 1995 (I think – I still can’t believe that it was 20 years ago!) when the Imperial Guard came back to life after a bit of a hobby hiatus. In the tale end of 2nd Edition, we had an explosion of both fluff and figures that turned the Imperial Guard into a proper army for the first time (at least by modern standards). 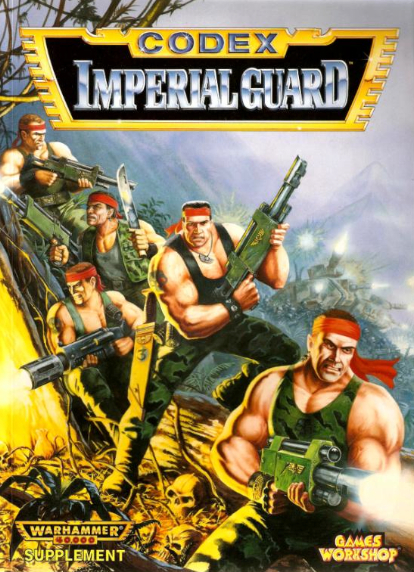 Back in the second half of the 90s, the Imperial Guard were a long way from being the Astra Militarum that we know and drop large blast templates on today. In fact, in 1994, it was pretty rare (at least in my neck of the woods) to even see an Imperial Guard army on the table top. Space Marines had smashed their way from the covers of Rogue Trader and 2nd Ed right into everyone’s hearts and the grunts of the Emperor’s dedicated forces were far more common in Epic scale games than they were on the 28mm scale tables. Looking at the above picture, you can kind of see why they weren’t exactly the most popular of forces. The original miniatures lacked character and detail, and had a very nondescript ‘future army person soldier man’ look about them. We were being told about a rich galaxy, full of unique planets and peoples, and yet the armies representing them were just blokes with guns. 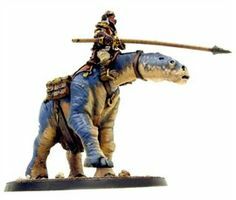 But in 1995, GW finally got round to doing something about this and over the course of a couple of months, five kits were released that redefined how the Imperial Guard would look, and they remain five of my favourite kits to this day. “Oh, gee John, we’ve never heard of them before, have we!” Well, yeah, I can imagine you saying that and you’re right. 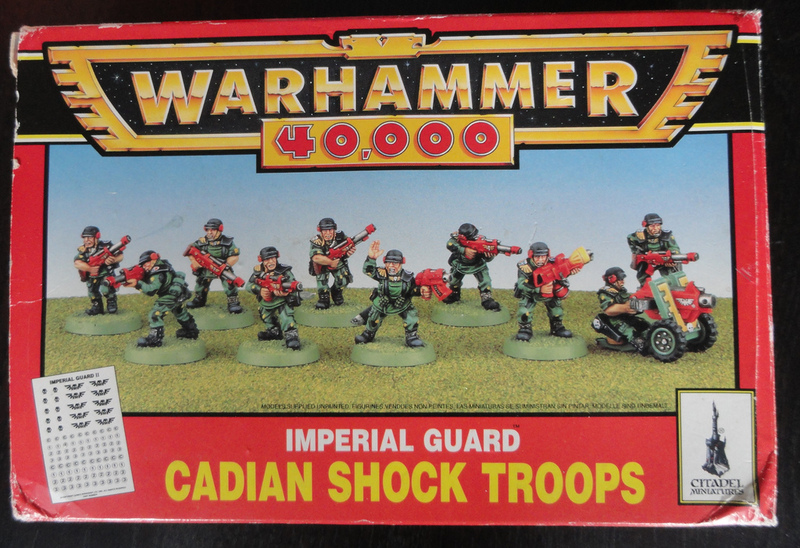 Cadian Shock Troops have become the default Imperial Guard force in the game, but I want to show you this box because it really was something special. After it released, pretty much everyone in my local GW stores had one of these. 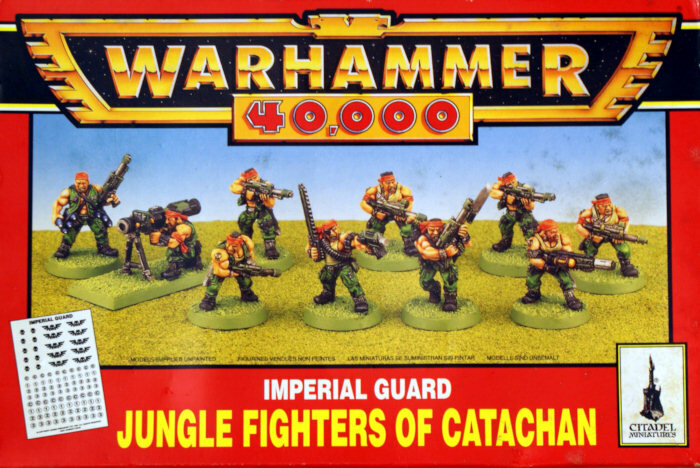 Cadians had been around before this box came out (sort of) but in random blisters from long ago, but this box made them a mainstream staple of the Guard. In terms of how they look (and ignoring the red guns – GW went through a bit of a phase where every gun had to be red back then), they’re pretty much generic soldiers. A green camo pattern uniform, black leather boots and a basic helmet. Not exactly exciting, but the point was that this made them adaptable. I remember seeing these guys appear in almost every colour scheme you could imagine and that’s what made them so popular – they were versatile. In the years that followed, the 13th Black Crusade global campaign really helped to cement them as heroes. 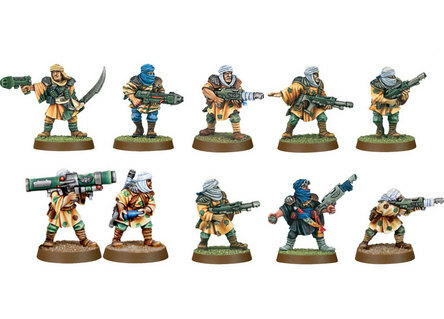 Whereas many others here have fallen into obscurity, these guys have had a lot of updates and nearly all guard vehicles now first appear in Cadian colours. Just look at the size of the force above from GW to see how popular they really are. On a personal note, though I admired them in the ways mentioned above, they were never really my cup of tea. They were a little too ‘toy soldier’ for me, and the flexibility that made them so popular meant that they were just a little too bland for me. Still, to each there own, and I’m sure I’m in the minority when I say that they weren’t my favourites. You know those American Soldiers/Marines (sorry – I can’t remember which one it is) who do all the fancy gun twirling displays in perfect sync? 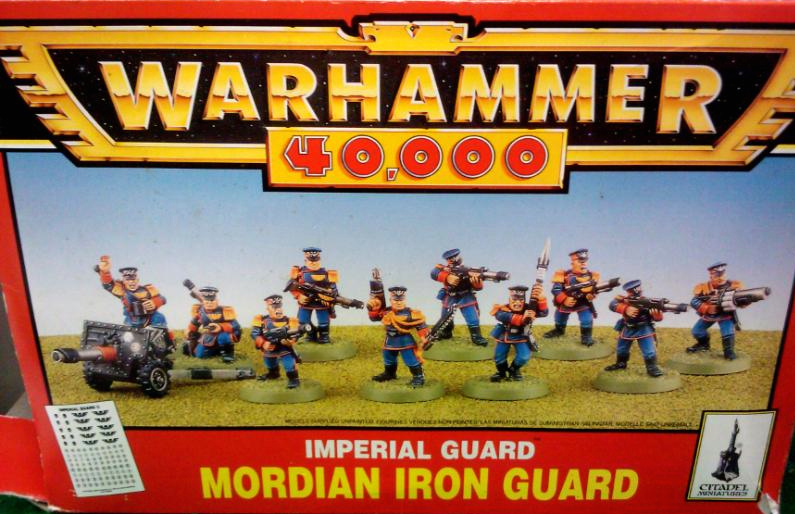 Well, in 1995, they were introduced to the table top in the form of the Mordian Iron Guard. These were the straight laced, clean pressed, professional soldiers of the Imperial Guard who took as much pride in combing their epaulettes as they did blowing orks away with round after round of lasgun fire. They were stern, gruff, smartly turned out and like nothing we’d seen before. These guys didn’t seem to be as popular as the other boxes that came out. Maybe it was because they seemed a little too clean shaven for the grimdark, but I think they might have been my favourites because they really did have the personality and unique characteristics that set them apart. If GW had supported these guys a little more when the Guard moved to plastic, I might have bought a few more boxes, but they’ve now slipped into obscurity and it’s doubtful that GW would ever revisit them, which is a shame. If you’re going to have an American-style unit, you better have a Russian style unit too. In the mid-90s, the cold war was over, but only by a few years, and still in everyone’s mind was the global conflict that could have been between the USSR and the USA. Despite having a distinctly Norse-sounding home world, these guys had a very Russian vibe. The long heavy coats, the fur hats and caps and their commander having the surname Chenkov all made for a distinctive Soviet feel. Like the Mordians, the Valhallans have slipped into the bits box of obscurity now and are unlikely to get an updated range any time soon. 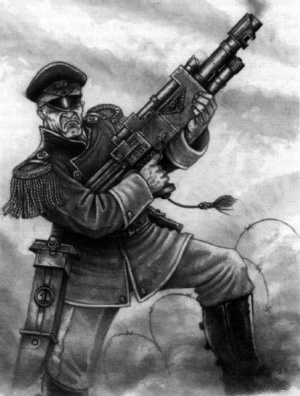 Perhaps as the 21st century rolled around, GW realised that a Cold War motif was no longer relevant (though given current events, let’s not say the threat is no longer there at all), and decided that the Cadians, looking as they did so like a generic-but-relevant Imperial force, just made a better choice to focus on. I’d quite like to see these guys make a return though. Who knows, maybe it would go someway towards world peace in an unlikely sort of way? From the harsh, sand-covered world of Tallarn (formerly a paradise before the Iron Warriors got there and launched the biggest tank battle ever in the history of ever) came the Desert Raiders and they too were, way back in those days, very popular. Or at least they seemed to be. 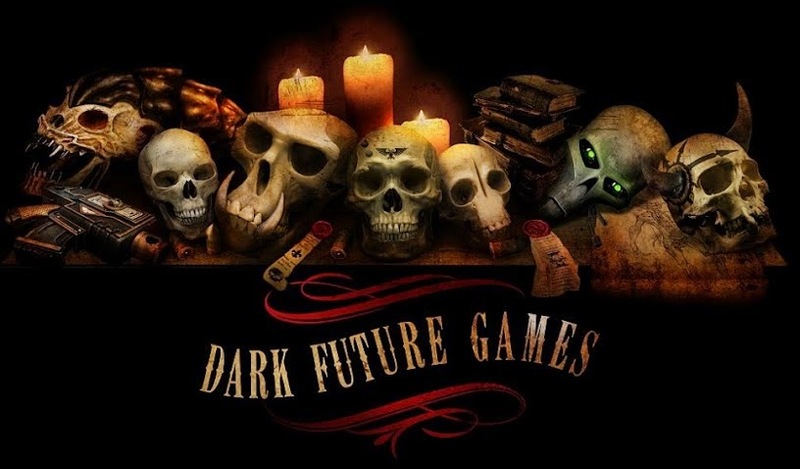 They too have drifted from the release schedule though up until not that long ago, they had one thing that was really keeping them going – Captain Al’rahem. Though the unit themselves disappeared from the gaming boards, this Captain kept his place in the Guard codex for long after due to his popularity (when you can get an entire army to outflank, you tend t o win some fans even if it is a bit risky). Going back to the box set though, these guys played on several themes ranging from the Desert Rats to Middle Eastern militias. They even got a bit of love from Forge World that kept them going in recent years, though this range too has now been discontinued too (despite having some really cool miniatures like the guy above). They outlasted the Mordians and the Valhallans, but they too are just about slipping away now, and that’s a little bit sad. I think i may have saved the best until last here. These guys had a bit of everything going for them really and it’s no surprise that GW continued supporting them even after they made it pretty clear that the Cadians would be getting the bulk of their attention. Their fluff for a start was fantastic, haling as they did from a world where literally everything was trying to eat them. 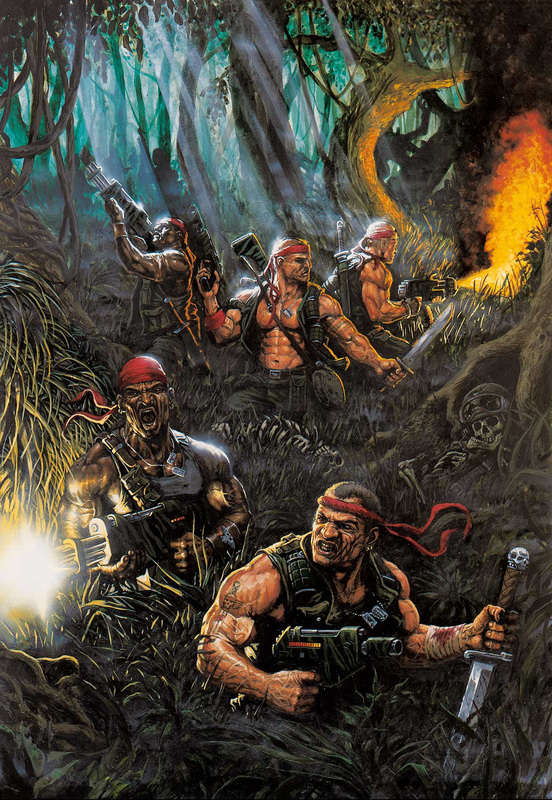 They looked like a cross between Stallone in Rambo and Arnie in Predator. They were fantastic then, and they’ve just gotten better since. These guys were another of my favourites from those good old days. They looked hard as nails and at least they had the stones to admit that their armour did nothing (looking at you Cadians) so they just went to war in their vests. 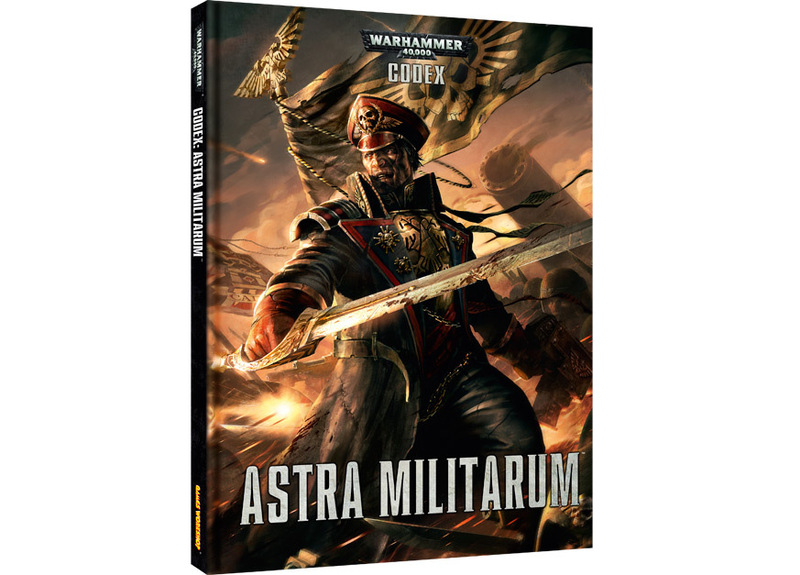 They add just enough variety to Astra Militarum forces around today to make them really interesting and I love it that they haven’t disappeared. So What Was This All About Then? You wouldn’t have the Guard Astra Militarum you have today without these guys. Yes, other variations have come since them, from the Praetorians to the Steel Legion, from the Vostroyans to FW’s Elysians and Death Korps of Krieg, but these represent the time when Imperial guard got going in a big way. In the months around their release you also saw kits being released for Chimeras and Hellhounds, Basilisks, Leman Russes got an update and the Demolisher (its first variant), and the metal ogryns also got an update. There were also Stormtroopers and Rough Riders too. 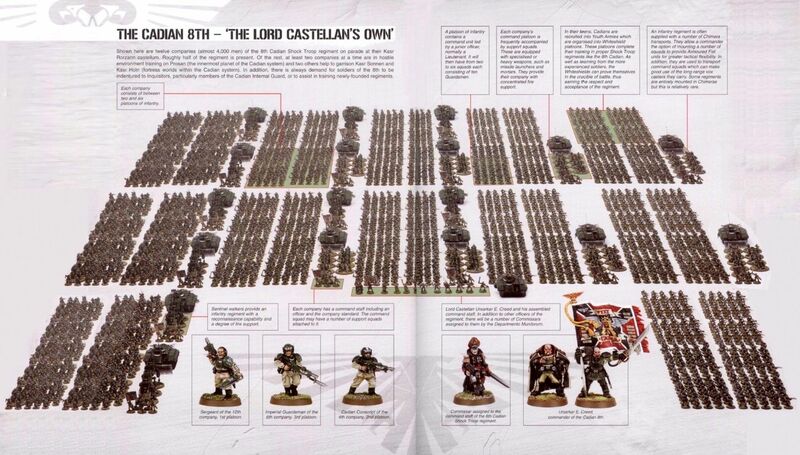 This was the Golden age of the Imperial Guard and the time when they went from being the most basic soldiers in space to being a genuine army with their own codex and a real range of models to choose from. 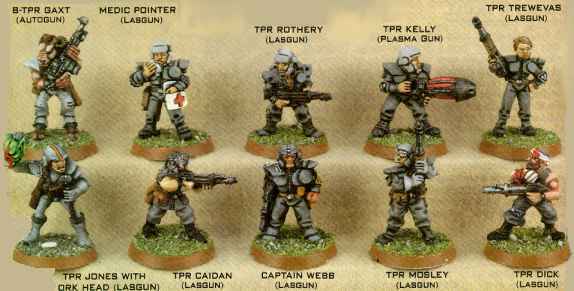 The next time you pick up your Astra Militarum codex, think back to the mid-90s, and the days when these guys hit the tabletop like a whirlwind. The Guard became a real army thanks to these kits and every bit of Guard infantry since owes a little credit to these guys. I hope you enjoyed this wee spell of reminiscing with me today. 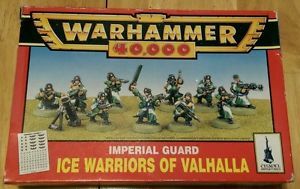 One of my favourite parts of writing the Miniature Focus posts is looking at the old miniatures but when it came to the ’95 Guard, I just couldn’t pick between them. If you’ve got your own memories of these releases, stick them in the comments section below. Onwards! Good article as usual. I hadn’t actually realised that the Forgeworld Talarns were gone until now, a real shame as they were unique and interesting models. Partly I think that’s why the Guard never really grab me, I got into the hobby late enough that these kits you showcase here were starting to look dated, but they’re still familiar enough to be part of my mental image of how the guard should look – and to be missed. 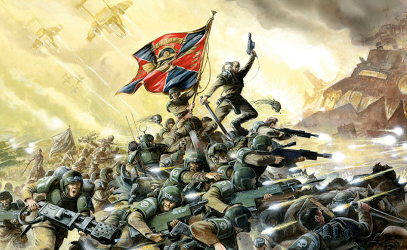 When I think of the Imperium at war I imagine something mixing elements of Steel Legion and Death Korps of Kreig with a little bit of Mechanicum weirdness, a hefty dash of medieval peasantry and a Vostroyan/Mordian officer class gaudily lording it over the grubby masses. 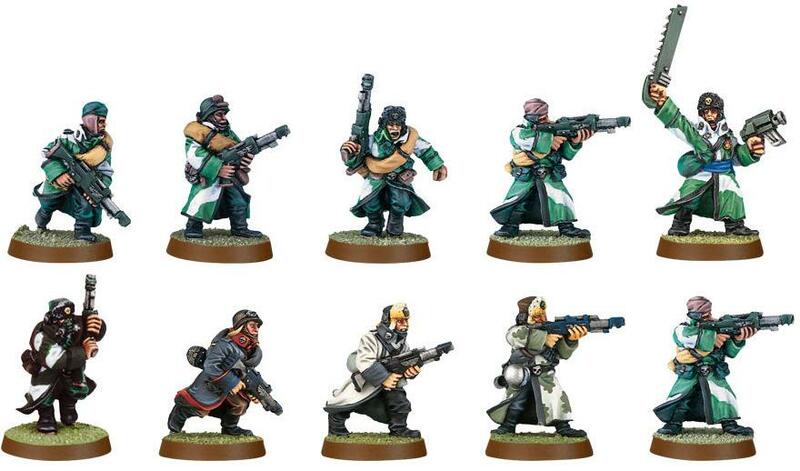 Instead we get the Cadians and as you say they’re just a little bit too bland and toy-soldierish to sit with my vision of the grim and grubby insanity of the far future. Most importantly, by representing the rank and file, I think these models allow us to see the human element that – for me – makes the Guard compelling. Other races have their impressive training/evolution/technology/muscles to call upon but the Guard ‘are but men’ and must rely on everyday heroism (which is why I much prefer massed ranks of infantry to all those tanks). It may never happen but it would be glorious to see the human face of the guard expanded once again, rather than just adding a new tank every few years.